The research team studied 84 people who suffer from alopecia areata (hair falling out in bald patches, which happens more frequently to women). The participants were instructed to massage their scalps with rosemary essential oil and a few other essential oils such as lavender and thyme daily for seven months. 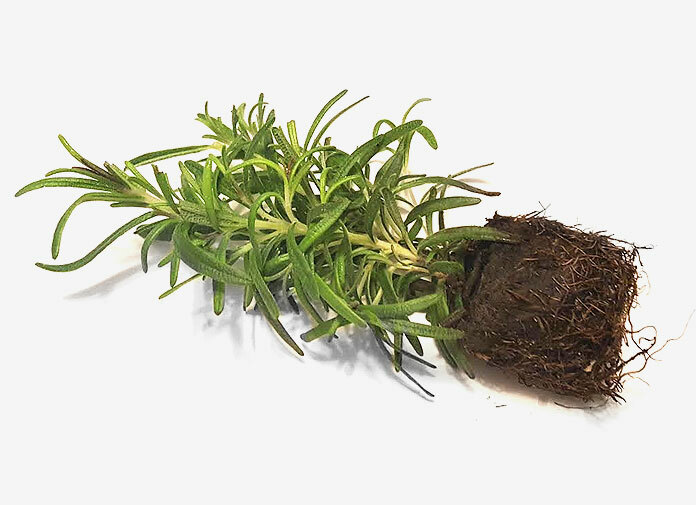 The results indicated that the participants experienced significant hair regrowth (Just in case you ever wonder, more benefits of rosemary essential oil also include pain and stress relief, ingestion and healthy immune system). You only need to use a small amount (1-2 tsp) to massage it on your scalp and she is directly applying the oil on the hair parting area. 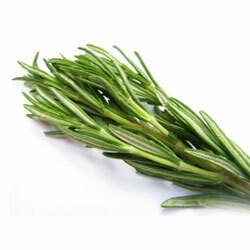 There are people who would like to find out how to make rosemary essential oil for hair at home. But I personally think that making it from scratch is too much work. 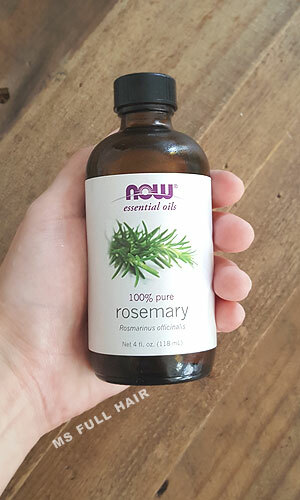 Where to buy pure rosemary oil? You can easily find it at any drug store. For instance, NOW rosemary oil is one of the popular essential oils on Amazon with over 1000 reviews at the moment. There are also many other brands, but make sure to find ones that are 100% pure and undiluted. You can also add olive oil for hair growth or a mixture of different essential oils (argan oil, coconut oil etc). The lady in the second video was entertaining to watch 🙂 Thanks for the article! Thank you for the article. I have a quick question – Which oil is better for hair regrowth? Rosemary or emu oil? I also read some people had great results with castor oil. My hair has been falling out a lot recently and I don’t know what to do at this point. I don’t want to spend too much to buy all different oils. According to MPB Research, emu oil works great for frontal hair regrowth. So if you have prominent hair loss on your frontal area, try emu oil. Another option is to buy different essential oils (rosemary, emu, castor, and coconut) and mix them all together for the maximum benefit. In the first video with Tatiana Karolina, she shows how to apply rosemary oil onto the hair roots. Is this pure rosemary oil or is it rosemary oil in a carrier oil? All the info about using rosemary oil says that it is too potent to apply full strength. 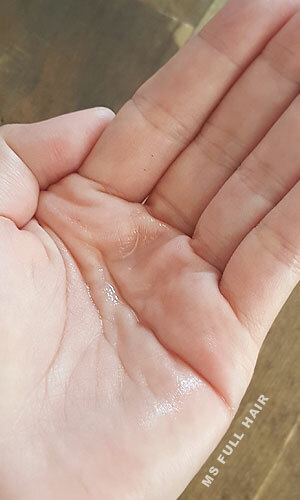 Does anyone know if it is okay to apply full strength rosemary oil directly to the scalp? Thanks!